Do you want to see 'em? 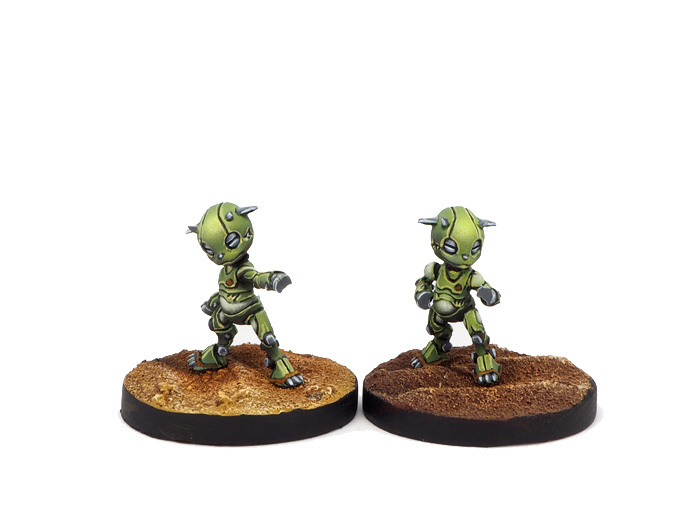 The 2 first minis are those funny bots done to be used as Nasmats proxies. 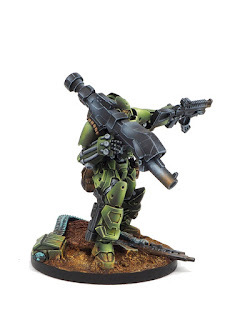 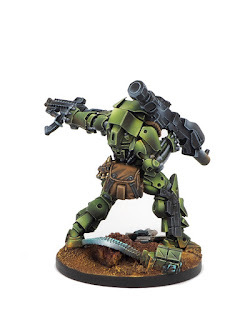 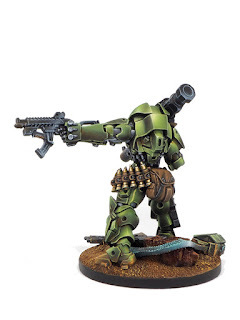 Also the big guy in the first picture, an Al'fasid with a conversion to add an HMG Gun in the base, so this profile could be used in battle. 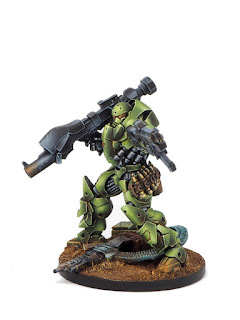 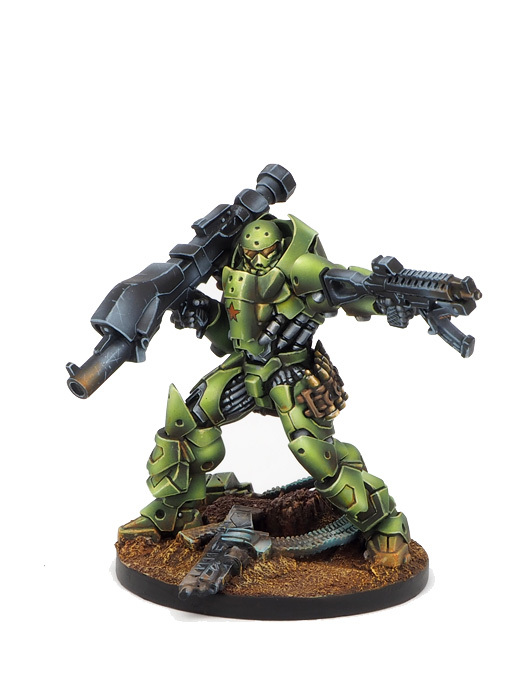 Una pregunta: ¿Pintas las minis de infinity completamente montadas o por partes?